Remodeling your kitchen is a huge commitment. Get the best return for your remodeling dollars by making choices that’ll last. 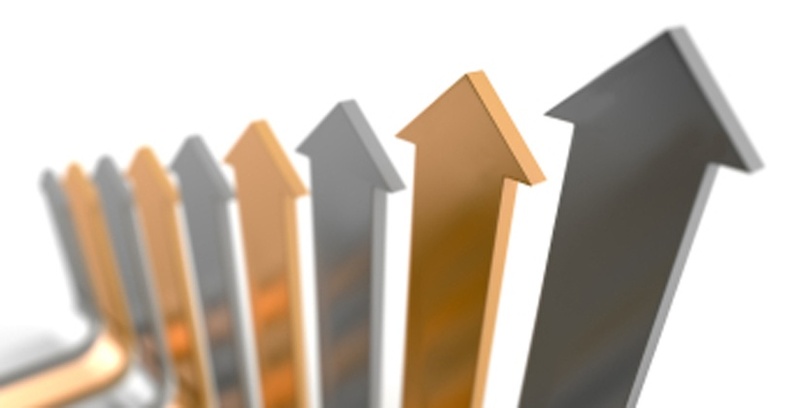 Go for trends with staying power that bring value to your life and your home. Here are our top dozen. They address lifestyle needs, convenience and savings, and going with them will ensure that you will enjoy your kitchen for many years to come. Open floor plans aren’t new by any means; this is a mature trend that is still current. With an open plan, the kitchen is central and you have space to entertain guests while you’re cooking. Whether you add a spacious island or open up to an adjacent room, an open floor plan gives you the flexibility in terms of space and means you won’t miss out on anything that is going on around you. But beyond that, we are seeing more streamlined kitchen designs in which the kitchen converges with the home’s primary living space, making the kitchen feel more connected from the rest of your home. Maybe it's a breakfast bar beyond your island, in an adjacent room, or a standalone coffee center in the great room. Opening up to adjacent rooms, but adding some relevant functionality in those rooms could be for you. We are seeing more streamlined kitchen designs in which the kitchen converges with the home’s primary living space and including hidden and integrated appliances. Kitchens are becoming more part of the main living space. Get ready for a hi-tech makeover. Imagine getting a text from your oven that your dinner is ready. There are smart ovens that have the capability to text or tweet. Beyond that, a new oven is coming along that allows the oven to know what your cooking, suggests the best technique, and lets you watch your food cook on an iPhone app. Kitchens of the future will focus on convenience for families on the go via accessible smart appliances. Look for this technology as it moves forward in everything from steam ovens to built-in coffee machines to refrigerators and wine coolers. More and more of the kitchens we are designing have designated spots for smart devices. The trend is to include areas with hidden charging stations to store devices like phones and tablets so that they are always operable, at hand, and charged. Maybe it's hidden in the side of your island or at a designated drop spot by the door. 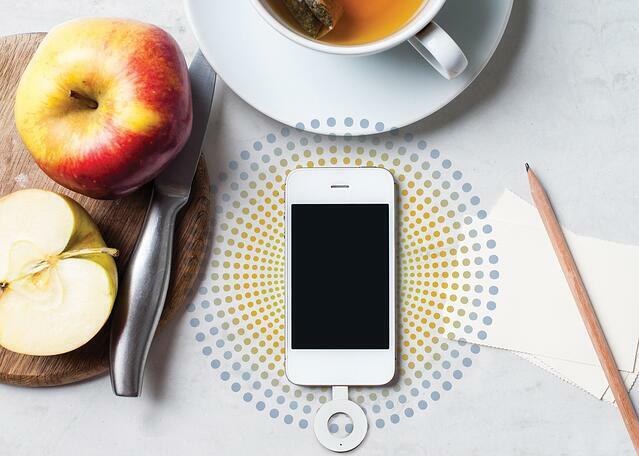 Or go with a wireless charging surface like duPonts Corian wireless charging surface. Most have large islands for extra workspace. Often they have dual islands, one contains a professional prep area, while the other is dedicated to storage and cooking functions. Beyond that, it is the details that matter, like having a pantry with all the kinds of beans and rice that you regularly use. 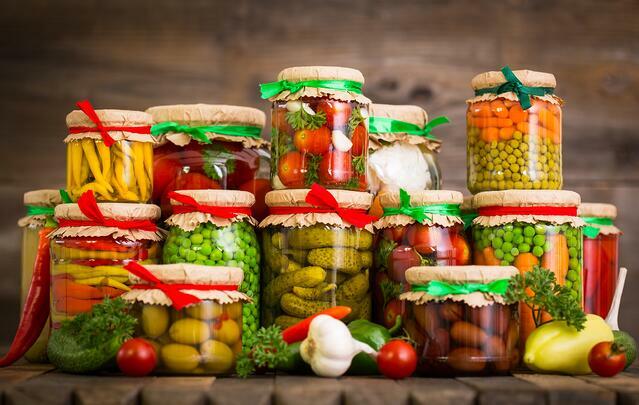 Or canning and decanting things into pretty jars, particularly ones that you can stack on top of each other. Lots of light is one of the most important things for small kitchens. Homeowners won’t settle for just ceiling lights and table lamps to illuminate their kitchens. 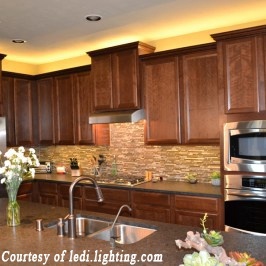 Extensive cabinet lighting is a trend to watch. Ribbons of LEDs are showing up in the weirdest — and most wonderful — kitchen places; along toe kicks as nightlights, on the inside of cabinet doors to show off grandma’s china, and concealed in crown molding to wash ceilings with light. LEDs emit virtually no heat, so you can keep them on forever without burning cabinets or walls. They are energy efficient, lasting 50,000 hours on average — five times longer than CFLs. And they’re coming down in price, making them much more affordable than they were a few years ago. Strong contrasting designs are being replaced with more texture-on-texture designs. It is less about mixing and matching textures, but rather our designers will reposition the same texture in different patterns throughout the kitchen. Using the same exact stone in three finishes, such as a leathered counter, honed backsplash, and polished pencil strips works. It's a subtle contrast, but one that makes a strong statement about attention to detail. 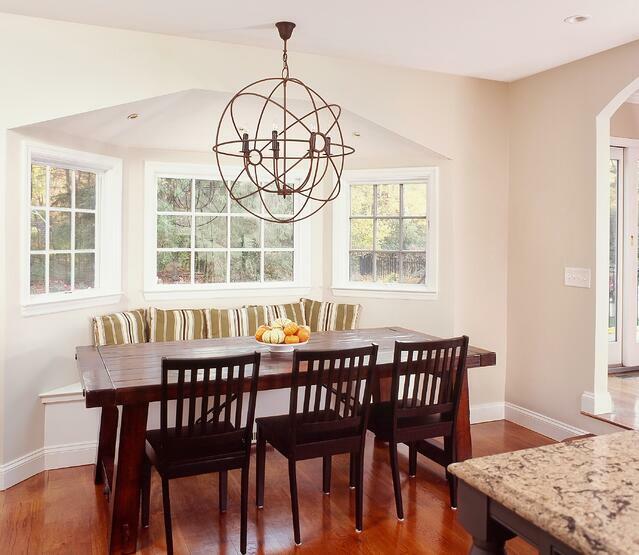 When remodeling older kitchens, many homeowners continue to replace their kitchen tables with other seating choices such as kitchen islands, additional counter space, or a banquette. Banquettes can wrap around a table or be utilized just on one side of the table, with chairs on the other. Among those who are choosing to keep tables in their kitchens, pub tables, tall gathering tables, and counter height tables are trendy choices this year. Characterized by their height, these tables are typically 36 to 42" tall vs. a standard kitchen table at 30". Copper brass and bronze are back. Over the past year, we have been seeing the raw texture of these metals gently incorporated into kitchen designs, such as on pendant lights and cabinet pulls. Metal has assumed a more dominant role in kitchen aesthetics and trumps wood as the range hood of choice. 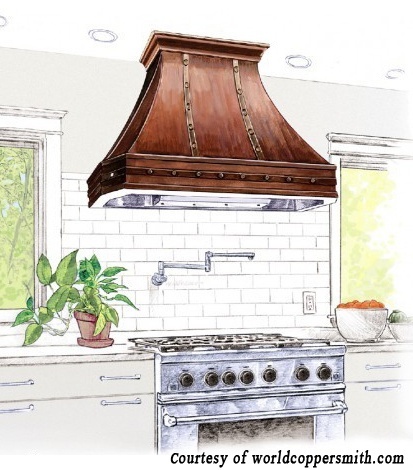 Stainless hoods lead, but hoods that are a combination of wood and metal, brass and copper hoods rock too. If you’re tuning in on neutral color tones, a metal hood can introduce a burst of contrast into your kitchen. Shiny reflective metal complements light, bright, and airy color palettes to help give the illusion of more space. In times past, tile and linoleum were the "in" surfaces for kitchen flooring. Nowadays, tile and linoleum are still popular in many areas of the USA, but in the trendiest neighborhoods and in our immediate area, hardwood floors in medium and deep stains have overtaken as the most popular type of flooring in the kitchen. They're beautiful - and easy on your feet. For those who want something a little different, cork and bamboo are hot. Double duty is starting to be a standard. For dual cooks, two is always better than one; a kitchen with two sinks and two ovens will provide plenty of space for food prep and cleanup. Two cooking areas for multiple cooks is my own personal dream. If you’ve had a big family event, or even have a big family, you can easily understand the wish for multiple dishwashers. The trend to include more than one in a kitchen is accelerating. Even in a smaller home, a big dinner party will more than fill a standard dishwasher. We are seeing more dishwasher drawer units, more secondary dishwashers located in the butler’s pantry, or in islands. More than one refrigerator is popular, either some refrigerator drawers for produce or wine refrigerators in addition to ordinary refrigerators. It's been years since we have installed the old standard, a side by side. French doors are the standard entry point refrigerator with oversized integrated refrigerators,and multiple refrigeration points being the next step up. Oven wise, steam ovens are popular in addition to conventional ovens. And while you’re at it, of what else might you want multiples? Trash cans – one for each kitchen zone? Kitchens will continue to evolve as how we use them continues to change and it will be fun to watch how functionality trends in the years ahead. 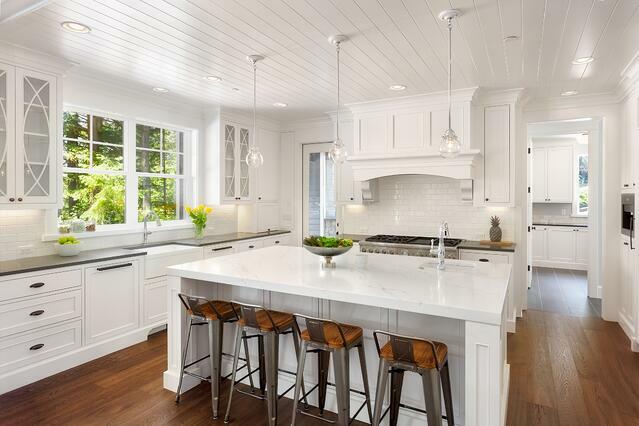 It’s hard to believe that white kitchens could get any more popular. But we, and the designers across the country, are seeing white white white; lots of white and all its variants, as well as grey. But the preference for white cabinets continues to soar. 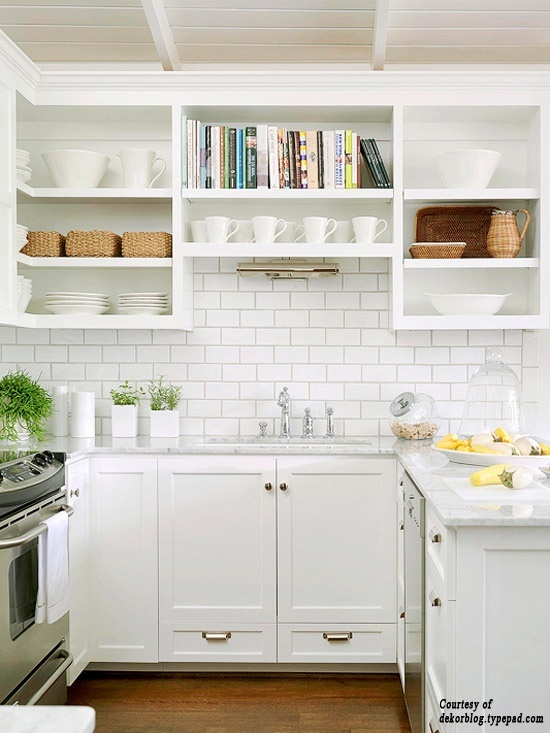 Sixty-seven percent of National Kitchen and Bath Association (NKBA) members said that white is their top choice for cabinets, a 20% climb from two years ago. 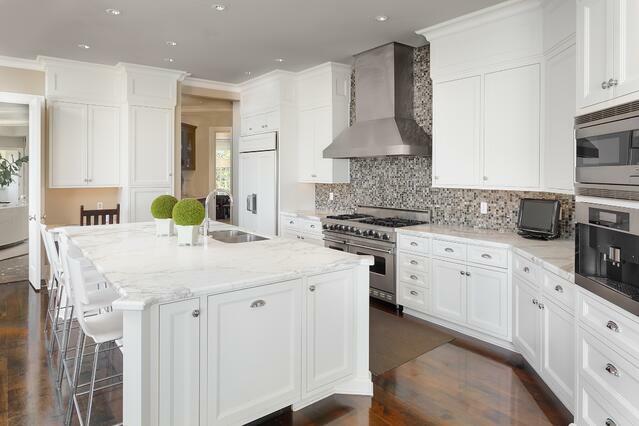 Though white motifs will still dominate, everything from cabinets to backsplashes is trending towards less saturated tones. Tinted whites are the new alternative to the standard white. 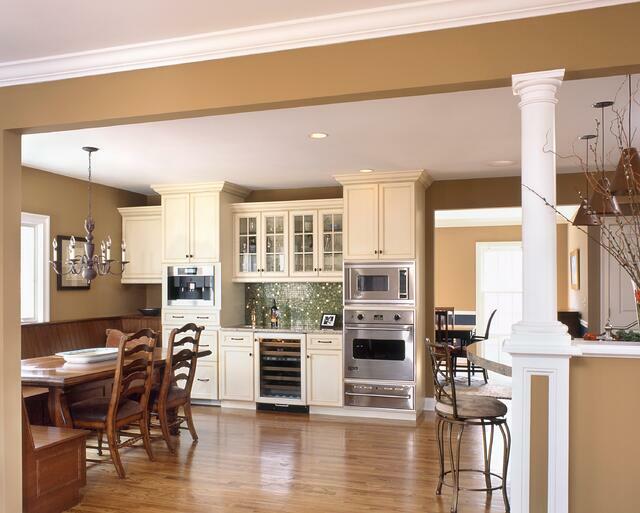 Fairfield County is strongly oriented towards variations of white and off white colors for cabinetry, with shades of grey and "greiges" (a mix of grey and beige) being incorporated into many of our designs, either for a whole kitchen, or for an island, or an accent piece. Grey is quickly becoming the new neutral. Charcoal, a variety of grays, and even neutral pastels like pale blue, pale green gray are trending up. People love to be organized, keeping their kitchens uncluttered, perfect for the trend towards clean lines and a minimal aesthetic. We see a lot more “in-cabinet” organizers, keeping things out of sight, but close at hand. They aren't just smart small-space solutions; they guarantee you're using that space well. Create a storage plan to solve your storage problems up front. Know what you're planning to store in a cabinet before you add new cabinets! 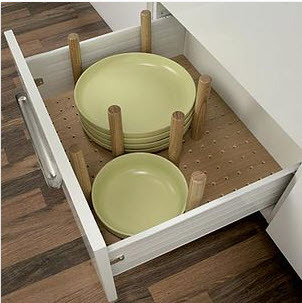 We’re designing in more pullout spice racks, plate storage, and more drawers for pots and pans. A pullout next to the cooktop can keep oils, vinegars, and other cooking staples out of sight yet close at hand. Rather than carry recyclables out to the garage, convenient recycling pullouts in a base cabinet make for a quick and easy solution to store used plastic bottles and newspapers. Easier recycling means fewer recyclables thrown in the garbage. A deep walk-in pantry became a canned-good black hole. An alternative to these big cavities are walk-up pantry units with pullouts. 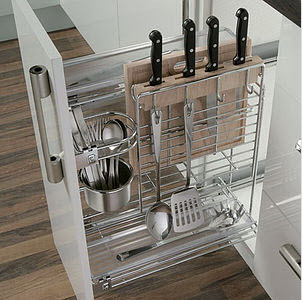 A smartly organized kitchen helps increase productivity as you are preparing meals. Not only that, you can be party-ready in a flash, since it is easy to put away the clutter on your countertops when there is a place for everything. Open shelves are something on which people are either black or white - either they are all for them or they think that they are a ridiculous idea. Open shelving is trending up because of its practicality, particularly when it are used as an addition to wall cabinets, not as a full replacement. All open shelves are not for everyone. You need to be neat (and dust). But everything is far more accessible. If you add a couple of shelves, you can show off your fancy tableware or vases. These open shelves could look like cabinets or made to look in contrast with them. If you want a more minimalist look, you can replace half your wall cabinets with shelves. It's a great place to highlight a cool backsplash which is often carried up the whole wall; behind the shelves. If you go for all open shelves instead of uppers, be sure to have enough lower cabinets to house all those mismatched dishes you have. You don't want the open shelves to be overcrowded. And then you have to keep those shelves clean. They'll look awesome, but beauty has its sacrifices. Kitchens are undeniably the heart of today's homes so, understandably, you want your kitchen to look its best. Incorporating some (or most) of the trends noted above will bring your kitchen into the 21st century - and keep it current for years to come.